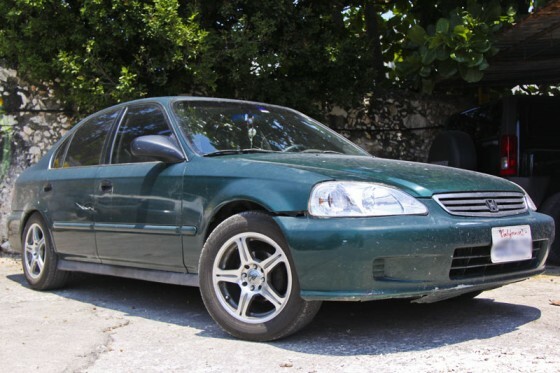 After we decided to take our car across the border to Mexico we felt it necessary to upgrade a few things to make our 99′ Honda Civic not only inconspicuous, but safe, and as thief proof as possible. 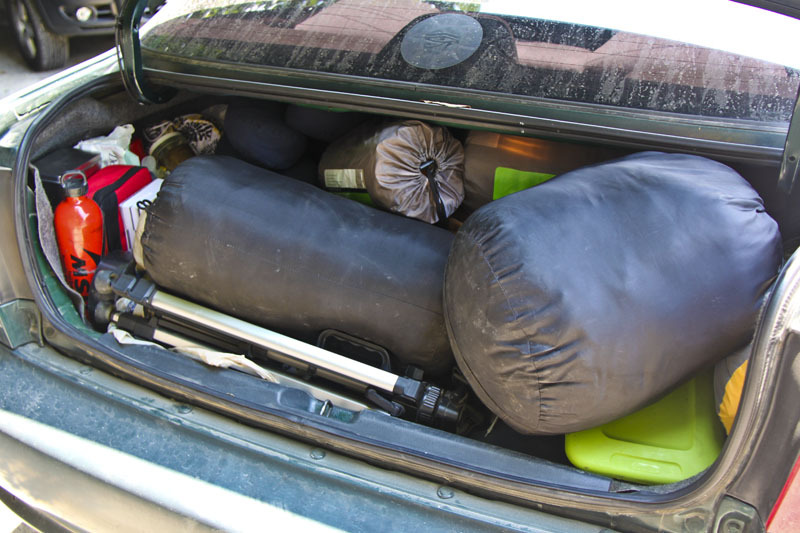 Here are the top 5 upgrades we made before hitting the road. Just dark enough to appear mysterious and obscure the contents of our car. Since you shouldn’t be driving at night visibility in the dark is not a concern. Make sure you follow state guidelines when you return home as limo tints are illegal and generally unnecessary, unless you’re a gangster. 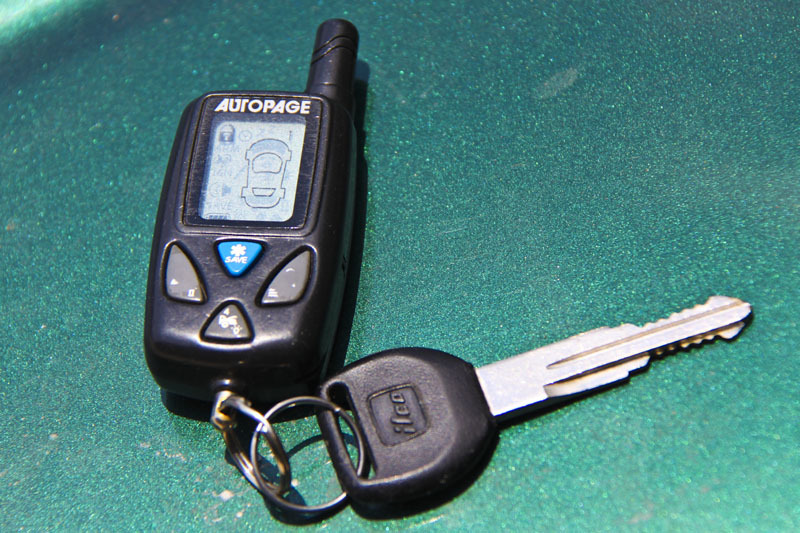 If someone manages to break in the car, AND disable the car alarm, the car will not be able to start unless a secret and well hidden switch is disabled. This switch cuts the connection between the ignition and the starter motor at the source preventing a would be thief from stealing the car. A well trained car thief will be on the look out for the switch, but if it’s hidden well enough the time spent searching for it makes it too risky to hang around and find it’s hiding place. This alarm comes with a pager that alerts us with a high pitched beep if anyone bumps into the car, rocks it, opens any of the doors, or breaks a window. The range of the transmitter is about 300 feet which makes it very useful when staying at hostels or hotels. Though sometimes the car will get lonely and sound the alarm just for fun, and other times the pager will actually play us a little song! For real. We store all our camping, cooking, and other gear in the trunk which used to be accessible from the drivers side trunk release switch. 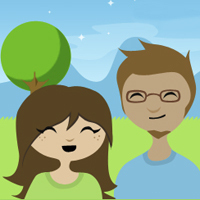 By removing the lock and turning the switch to the off position and replacing the inoperable lock a would be thief will not be able to access the trunk without the original key. We leave the car completely empty so even if they manage to break in, they will not be able to steal anything. 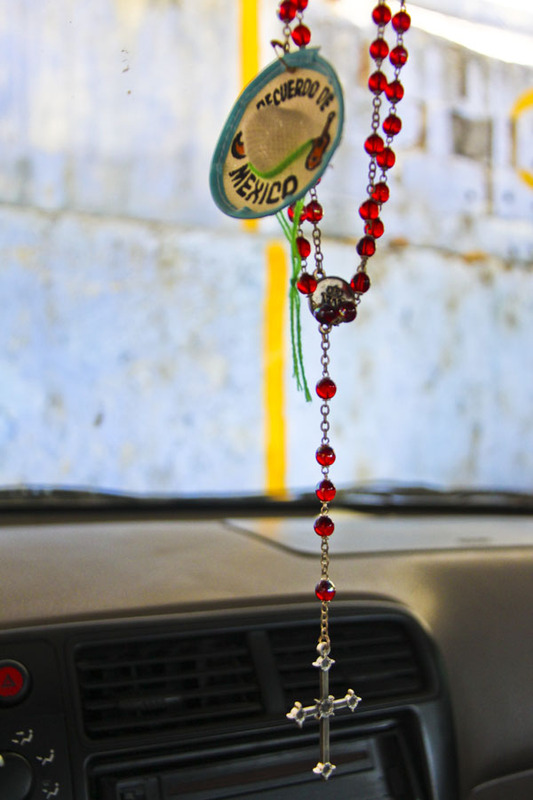 Last but not least, we “installed” a rosary on the rear view mirror to blend in with the mostly Catholic populace of Mexico. Generally, I find anything hanging in front of the windshield obtrusive and dangerous, but so far not one foul deed has befallen our car. As an extra feature Jesus dances when we turn the sub woofer up! Break the sideview mirror off, then duct tape it. Paint the bumpers a slightly different shade. Ditch the California plates for some snazzy Guatemalan plates. Put a hole in the exhaust. If you had hub caps… zip tie them, or lose’em. For the die hard, tint the windshield ultra-dark and rip out a square to peer through.